I expect you’re still wondering what exactly a ‘Mount Fuji’ is. 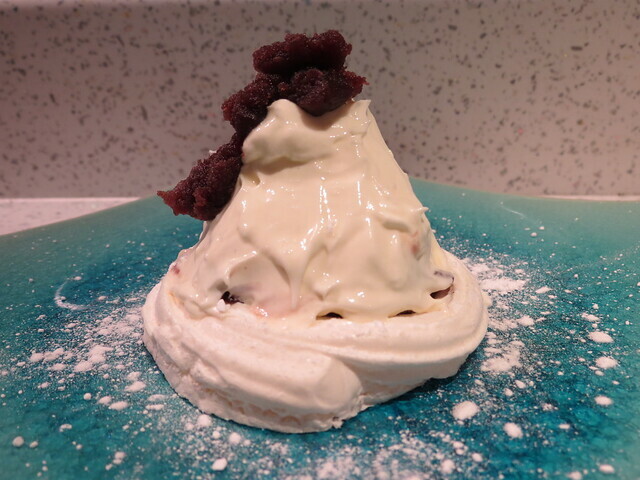 Well, it’s a Japanese version of the Italian dessert called Mont Blanc, which is a dessert of puréed, sweetened chestnuts topped with whipped cream. This dessert is actually quite popular in Japan, and I think I’ve eaten it more there than I ever have in the UK. I’ve seen various Japanese takes on it before, using ingredients such as matcha (green tea), adzuki beans and pumpkin. *Apart from the ‘ready-made adzuki bean jam’, all of the ingredients should be available from your local supermarket (if you’re in the UK or US). I’m not sure if the bean jam I used was really the right sort, but it seemed to work and it tasted great. I bought mine from a local Japanese supermarket called Atariya, but you can also get it at bigger stores like the Japan Centre. 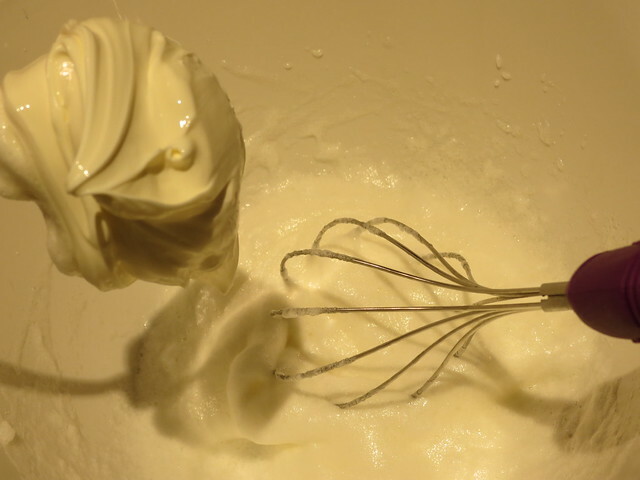 Whisk the egg whites until stiff peaks form. Then gently sprinkle over the sugar and fold it in. 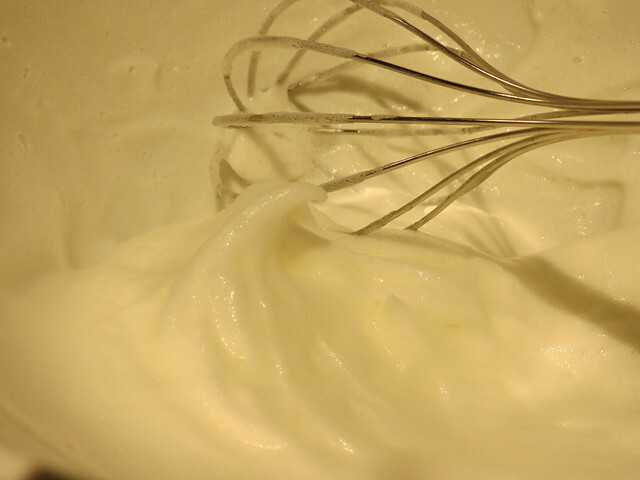 Little by little, spoon in the mascarpone and fold in gently. Place a spoonful of adzuki bean jam in the middle of each meringue nest. 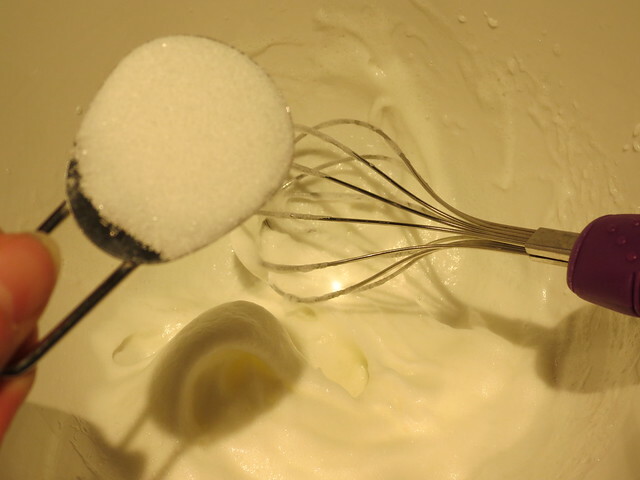 Top with the egg and mascarpone mixture. 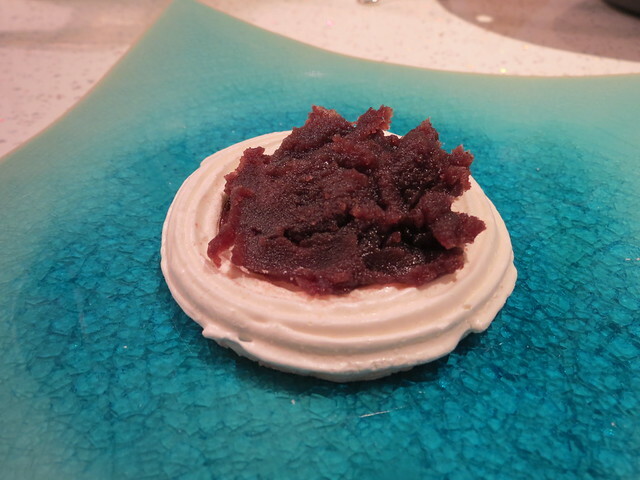 Dust with icing sugar, top with a little more adzuki bean jam, and serve. 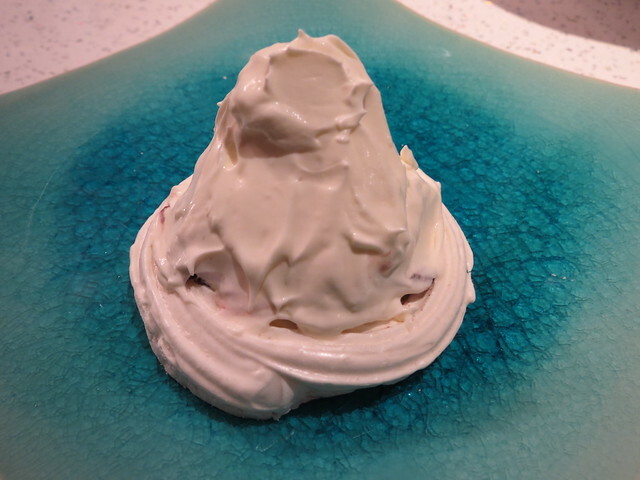 So, it kind of looks like my Mount Fuji is erupting, and it may not be the most beautiful dessert, but it sure was tasty! 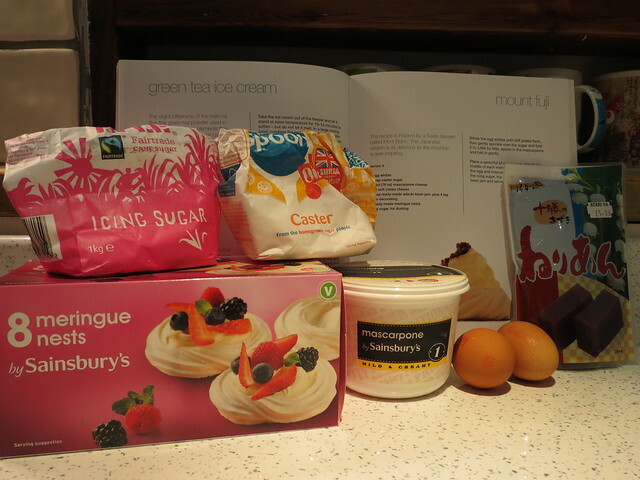 Since making this I’ve had all sorts of ideas about other ingredients I could try, so watch this space! I’ll be back in March with a new recipe. If you have any suggestions, or perhaps you would like me to try one of your recipes from a book or website, please leave a comment below or get in touch! All the recipes I try on this blog have some connection to Japan and, because I don’t eat meat, they need to be vegetarian or pescetarian. I’m particularly interested in helping to promote Japanese recipe books, so do let me know if you have one I might like! Looks really yummy and now understand why they are called Mount Fuji! Suggestion for next month. How’s about Agedashi-tofu? I found this web page. By the way, if you look carefully a packet of Tofu she use, Character of Kung Foo Panda on the package! Hi Haikugirl! Thanks for following us! 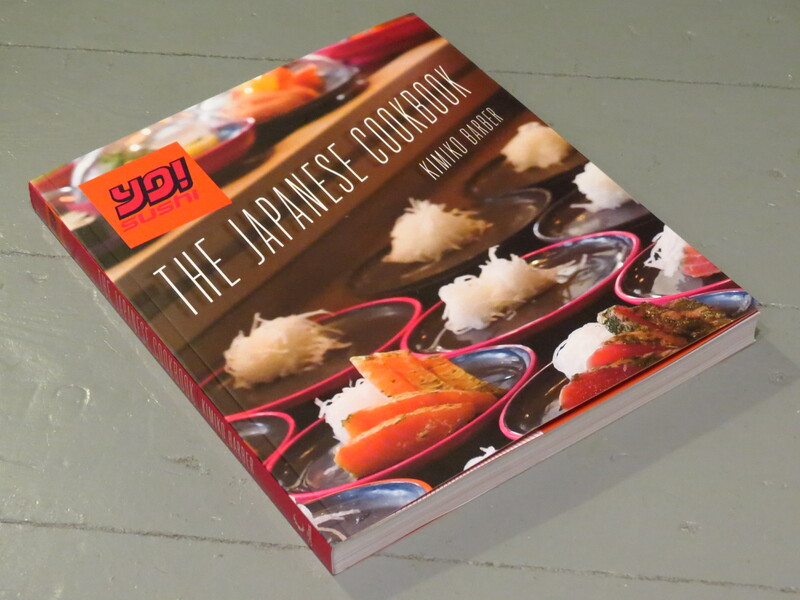 Have you heard of “The Friendly Japanese Cookbook”? They’ve been supporting us too. You might find a recipe in there that you like 🙂 Keep up the awesome work! 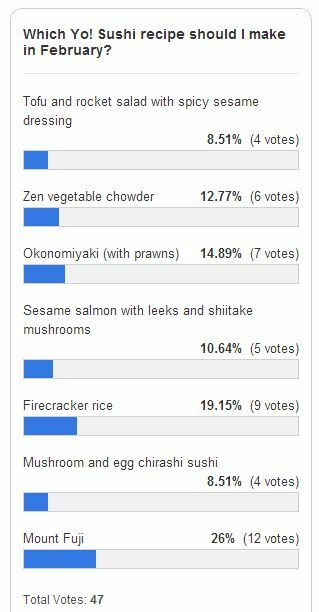 My personal plan is to try making inarizushi from scratch – including the aburage – some time this year. And vegetable tempura. I’ve also been experimenting with (soy) matcha lattes lately (that would be a pretty easy thing to feature) and I want to find out what adzuki lattes are (a Japanese restaurant in South Kensington had them – will have to give them a try).